I have now lived in Sweden for just over a year. 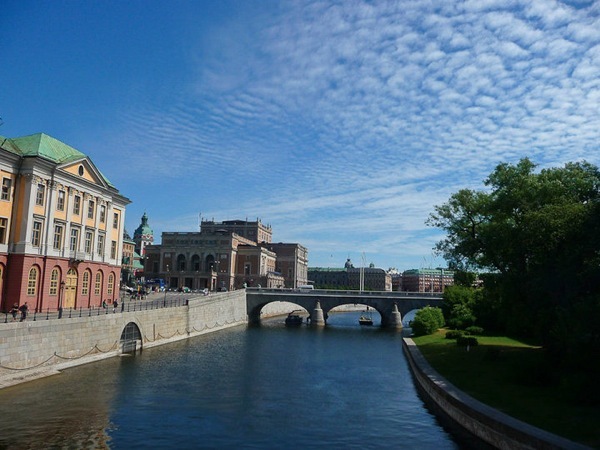 I arrived in Uppsala last January to finish the last six months of my masters, then moving to Stockholm in August. Quite a bit has changed since I first arrived – I am now volunteering at a fantastic organisation that helps the partners of people that have come to Stockholm to work with learning Swedish, finding work, understanding Swedish society, and very importantly, providing an instant social network and plenty of wonderful classes. I am getting to work in my area of integration studies and immigration policy, and I am hoping this leads to some interesting opportunities this year. I have even been asked to give some speeches by a few organisations in the upcoming months, which is both scary and exciting. Other things have changed as well – my Swedish has improved, but I am still reminded of how far I have to go when I listen to announcements on the train and can hardly understand a word of what is being said. My 30 hour a week Swedish course starting in March should help with this though. The weather has been one of the most noticeable differences – Before we moved to Sweden I had been here about 7 or 8 times before to visit friends in both summer and winter, but nothing could prepare me for actually living here. Despite working in London and barely seeing sunlight there for months on end, Sweden is in a totally different league. In January for example there is about 6 hours of sunlight a day (Compared to around 19 in June). 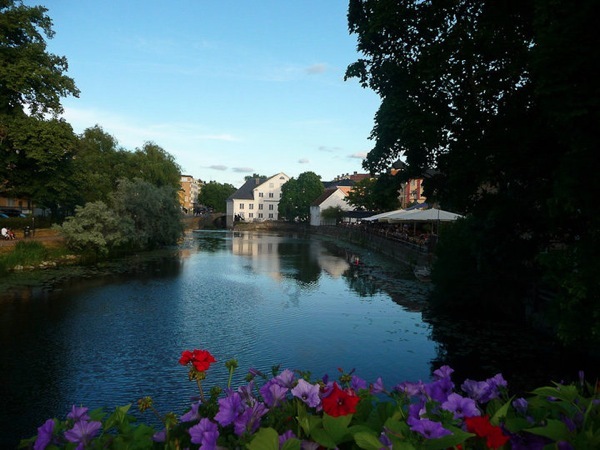 Living in Uppsala, I rode my bike everywhere – to class, to do the shopping, to meet friends. Even when it was -20 degrees Celsius. I experienced the peculiar feeling of having my eyelashes freeze as I rode along and developed impressive multitasking skills of bike riding one handed in snow storms while shielding my eyes and attempting not to run over pedestrians while also not loosing my bag. Winter in Uppsala was beautiful and with so much exercise and socialising every day, I barely noticed the almost continual darkness. This year in Stockholm was a bit different. I take the tunnelbana everywhere and as I don’t live in the above cute red house filled with friendly students, I am not as social this year, which has led to me feeling quite a bit more tired. The gym seems to be helping, as does meeting friends a bit more regularly, but I still have a bit to learn above surviving the Swedish winter. I have never seen such an amazing spring before living here. Our seasons in Australia are not as prominent, one melting softly into the other, and summer lasting seemingly forever. I remember cycling from our house in Uppsala along the river and through a park into town each day, and it seemed as though in the space of only a week, the landscape went from grey and white to the most amazing kaleidoscope of colour – the thick green grass shot up almost overnight, flowers started to appear and I couldn’t help smiling at the beauty of it all, and being amazed at how quickly it happened. I am also impressed with how much care the gardeners in Uppsala take, constantly planting new flowers after old ones have died, and even including flower boxes along bridges as you can see below. Summer in Sweden is a wonderful time, suddenly the parks are filled to the brim with people lying around reading, having picnics and grilling sausages, playing music and chatting. Little wooden stands start to appear though out town selling delicious punnets of fresh strawberries, blueberries and raspberries. Oh, and the sun almost never sets – I went for walks through the forest at 10 pm at night. The sun was up again at 2 or 3 am. In Australia I tended to avoid being outside in summer due to the ridiculious temperatures, not to mention the giant hole in the ozone layer and that fact that I have red hair and my people are not meant to live in tropical climates, but summer in Sweden is quite nice – not crazily hot. 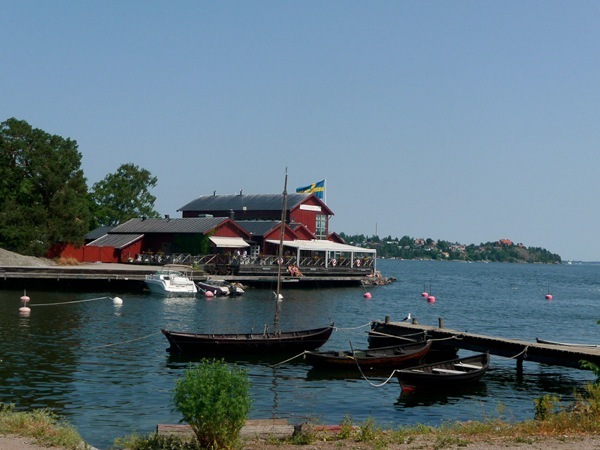 If you do visit in summer, I can highly recommend visiting the Stockholm archipelago, with some islands only 30 minutes away. One friend of ours spent a week drifting from one island to the other, catching fish, camping and picking wild berries. We have also moved 3 times in the last year, which seems to be below the average number of moves of people I know in Sweden. I’ll be posting some tips about renting an apartment in Stockholm shortly. 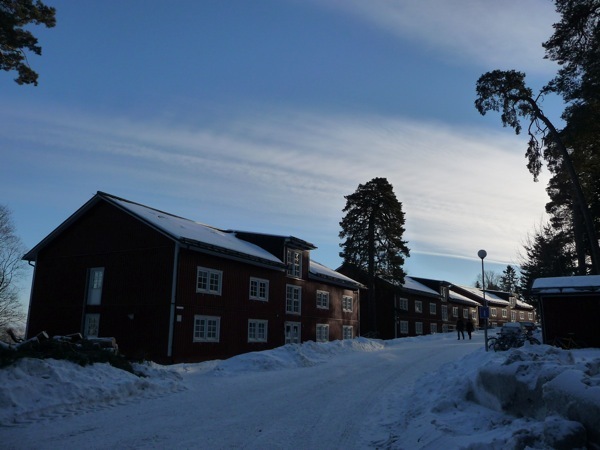 I have also learnt quite a bit of random information about life in Sweden in the last year – the medical system, how to get a person number, a bank account, an ID, how to renew your visa, study at a Swedish university and quite a bit more, but all of these things will be covered in their own posts. I am not actually sure how long we will be living here, but as Geoff has just started a new job in December, it looks like we will be here for the foreseeable future. I am looking forward to seeing how life in Sweden is this time next year.